CTE’s Fido & Feline Feast benefits animal shelter — CTE: It's Working! (CLARE) – Lydia Gervase and Harley Hakes wanted to do something a little different for their Career & Technical Education Culinary Arts senior project. They also wanted to do their part for the critters at the Clare County Animal Shelter. So they found a way to do both and make a difference in their community at the same time. 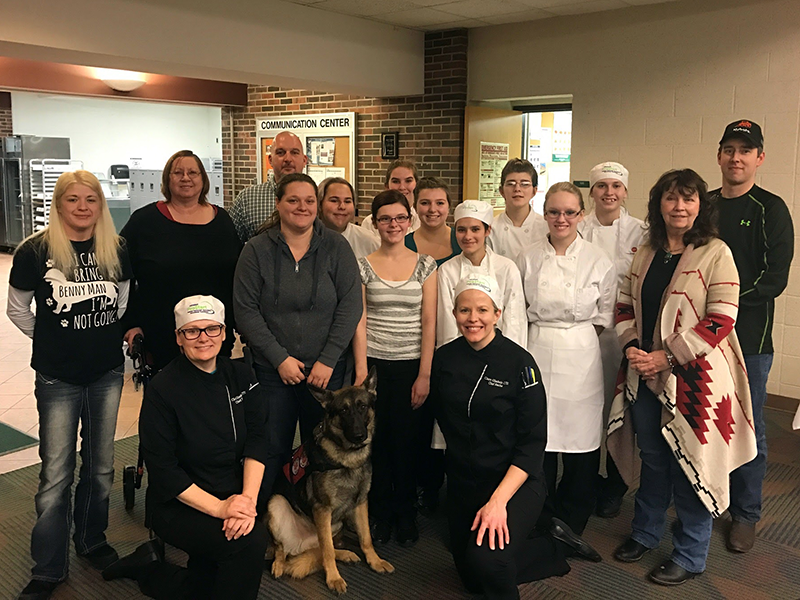 Culinary Arts is one of several CTE programs offered to local high school juniors and seniors through the Clare-Gladwin Regional Education Service District. 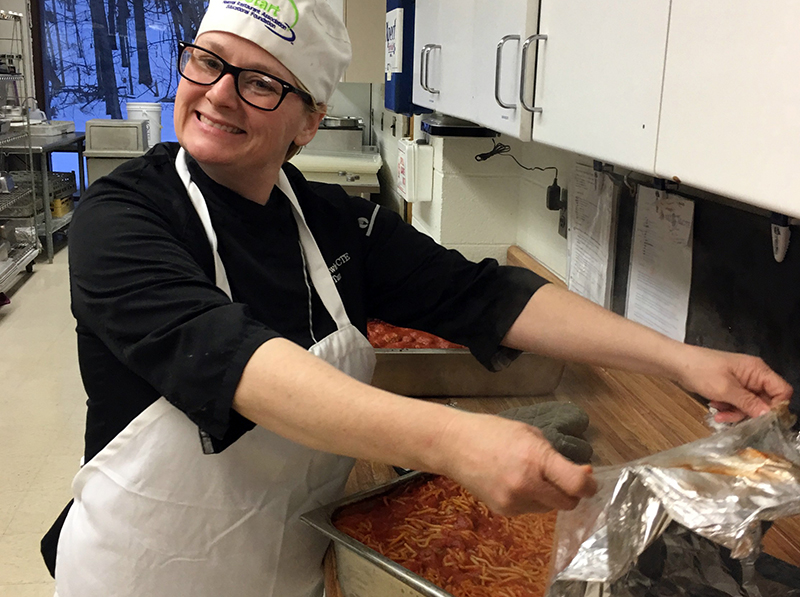 Aside from the class work and the kitchen experience one would expect from such a class, Culinary Arts students spend a significant amount of time catering events in the community. Harrison seniors Gervase and Hakes, both second-year members of the class, are leaders in more ways than one, according to Instructor Heidi Rocha. 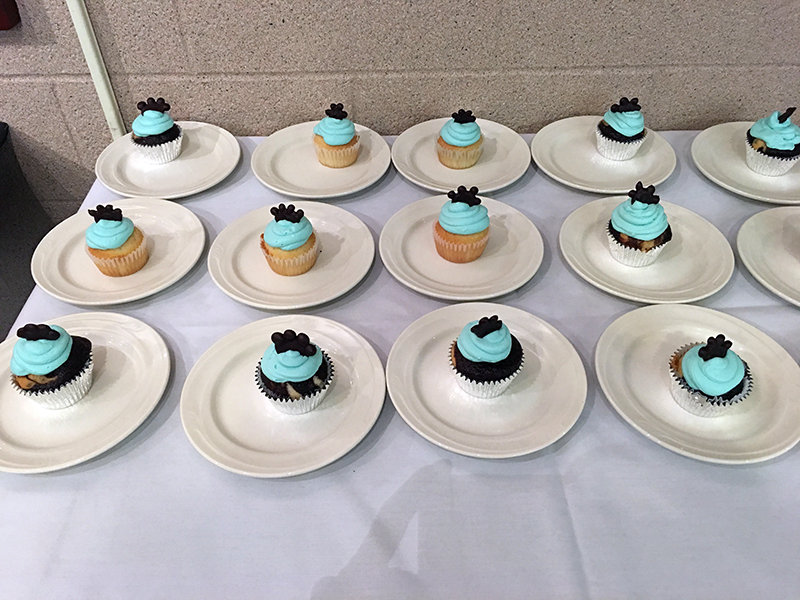 The students organized nearly all aspects of the banquet – selling tickets, preparing the table arrangements, and, of course, preparing the spaghetti-and-meatball dinner, complete with tasty cupcakes for dessert. About 100 community members attended the dinner, held at Mid Michigan Community College, with all proceeds going to the animal shelter. They also received a helping hand from several current and even former Culinary Arts students the night of the event.